Gwendolyn Jones Parris was born to the late Roger Lafayette Jones and Agnes Bolden on April 7,1943 in Jacksonville, Florida. After the untimely death of her father, her mother met and married Eddie Hall. She was raised in Belleview, Florida and after graduating from high school, moved to New York where she attended Montclair College in NJ. She later met and married bass musician Gerald (Jerry)Jemmott. Putting her college aspirations on hold to start a family, she gave birth to her beautiful, and only daughter, Jeanine. The marriage did not last so Gwen, as she was affectionately known, rolled up her sleeves as a single mom and went to work to ensure all her daughter's needs and wants were provided. In 1977 she completed her B.S. Degree in Management Science from Kean College in NJ. After receiving her teaching certificate in 1982, she taught Data Processing in the N.J. Public School System. In November of 1983, Gwen married Richard Roland Parris and relocated to Summerfield, FL. In 1996 she became a grandmother for the first time and went on to have four more grandchildren. Although living far apart, she was still very present in their lives, often traveling to New Jersey for their special events. Always a lover of learning and heavily focused on education, she took classes to learn Microsoft Computer Programs. In 2000 she completed training to become a Child Protection Professional after which she worked for the Florida Department of Children and Families for three years. After that she worked various jobs before "retiring" to take care of her ailing husband. Gwen had a generous and giving spirit especially when it came to the education of others. She sowed financially into her family, friends, church and strangers. A God-fearing member of Ramah Baptist Church of Belleview she later attended New Shady Grove Baptist Church in Ocala, Florida with her husband where she was involved in various church activities. She was civic minded and believed in the importance of voting and giving back to society. She was known for being candid and direct while speaking her mind and was not hesitant to let you know what she thought. Content to stay behind the scenes, she impacted many lives without looking for recognition or accolades. As a private person, she had a fiercely independent spirit and did not want to complain or "bother" others with her concerns and health issues. Gwendolyn Jones Parris joins her parents, sister Carolyn and brother Roger while leaving to cherish her memory, her husband Richard Roland Parris, daughter Jeanine Jemmott Branch, son-in-law, Wayne T. Branch, 5 grandchildren, Justin, Matthew, Jose, Angel and Grace Branch, 3 sisters Dorothy Henry, Connie Hall Jenkins, Carrie Hall Kellum, her brother-in-law Robert Gallmon and a host of nieces, nephews, cousins and friends. 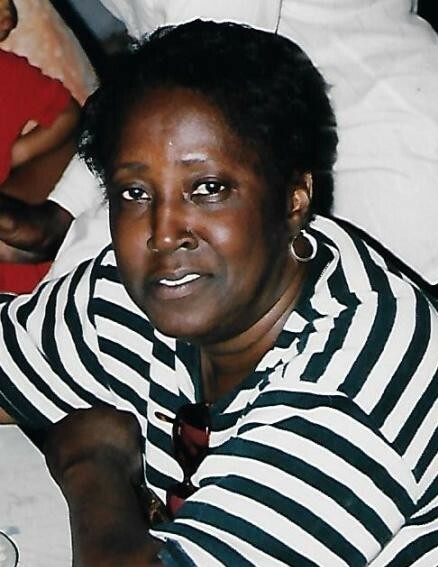 Gwendolyn Jones Parris was a loving wife, mother, grandmother, sister, aunt, cousin and friend. Her family and friends meant the world to her. She has touched so many lives here on earth. All who knew and loved her will miss her. Public viewing will be Friday, February 8, 2019 at Summers Funeral Home, 2238 NW 10th St, Ocala, Florida from 2:00pm until 6:00pm. Wake Service will be Friday, February 8, 2019 at Summers Funeral Home, 2238 NW 10th St, Ocala, Florida from 5:00pm until 6:00pm. Final Interment will follow at Forest Lawn Memorial Garden, Ocala, Fl.